Is that this place in Parms? I've heard about it before on this board. Sometimes old skool is the best skool. I did a bunch of wings on a hot grill then sauced em good with the traditional Frank's Red Hot mixed 50/50 with butter. Yay Buffalo! Wadsworth location is closest to me. They advertise a lot on the radio during games. And they are excellent. A chain? Yeah I guess so but a local chain. They opened their first restaurant about 1/4 mile from where I lived in Parma Heights at a little shopping center at Snow and Stumph road in 1960's. Good Pizza. I don't think there are any Antonios in Trumbull or Mahoning county. I swear tho, Northeast Ohio must have more pizza shops per capita than the rest of the country. And so many are soooooooooo good! Another reason to be called The Best Location in the Nation! They are starting to branch out, there's a few new ones that have popped up down here in Stark County. Pretty good stuff with locations all around Houston as far away as Galveston. 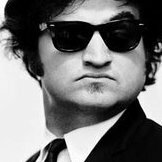 OH YEAH Frank's used to be called Frank's Louisiana Red Hot years back.......we used to consume gallons of the stuff years back with pork rinds or chips playing pinball at the famous now gone JIMMIE'S INN in Niles, Ohio, still have my bumper sticker. That's a good way to lose weight too. Red Hot and pork rinds....good stuff. 7 mile inn had some good smelt that were good with the red hot too. Good low carb snack. French onion dip goes good with pork rinds too. Despite that there are still some good survivors in the Italian restaurants and pizza joints in the Youngstown/Warren area.......great for football meals! As h informed and then proved to me last year (by bringing me some to Florida)... it's still sold at Circle K's... and it's every bit as good as you remember. And ask Steve about all the clubs he used to play around Akron/Cleveland. Oh yeah Lawson's from my youth a friend and I used to collect bottles by the road, on our bikes go to Lawson's and get the deposits buy two large RC Colas 13 cents each plus occasionally other goodies nearly every summer night. And Lawson's chip chop ham (like Isaly's) Wisconsin brick cheese oh yeah, the -BIG- bags of chips for great midnight snacks.......ummmm. I never thought to check circle k for dip. I only stop there for gas. Thanks for the heads up. I'm gonna check in a little bit here. Lawson's brings back great memories. I don't see it in the stores very often. I can't tell much difference between the rest, usually heluva good.. Some of the stuff from local dairy's is pretty good. It doesn't have the preservatives that the national brands do. Deans is real good here. Smith's too. Take and stir in a tablespoon of dill weed into some french onion dip. Chill it overnight. Makes for a very tasty variation. 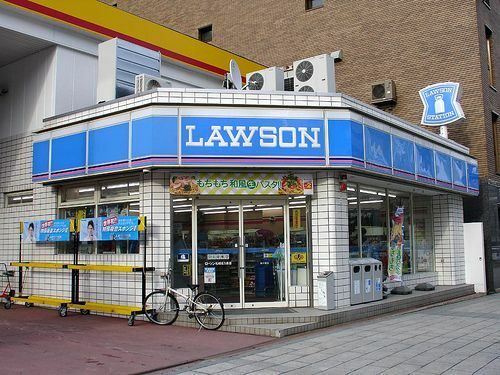 I was really surprised that Lawsons are in Japan (still there): I used to eat Obento (lunch box) from them quite often. You can still get Isaly's brand Chip Chop Ham at Acme!